Now you never have to sacrifice comfort for style on your big day! Picture this: it’s your wedding day and you’ve got everything all planned out. Dream venue? Check. Dream dress? Check. Dream guy? Check. Now, all that’s left between you and your happily ever after is you having to walk down the aisle in heels, which we all know is easier said than done! 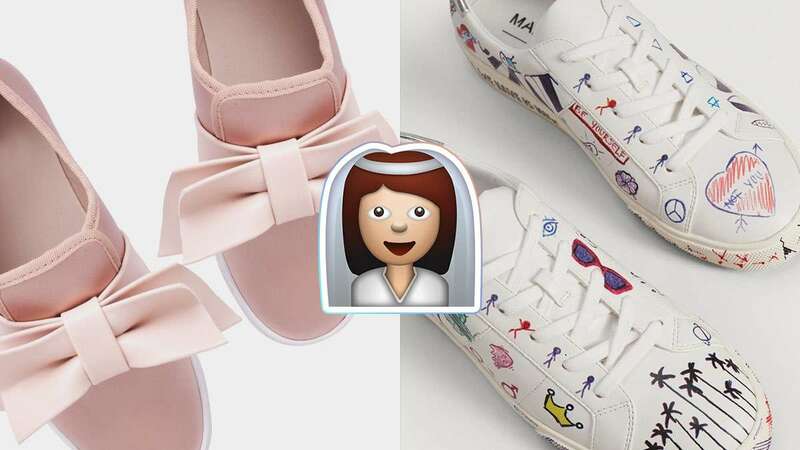 Enter, bridal sneakers! Now, you won’t have to worry about tripping on the train of your dress, having to do your first dance with your husband with achy feet, or getting blisters the next day. Plus, they’re so pretty and there’s a style for every type of bride, too. What’s not to love? You can go with a pair of white sneaks with chic pearl details if you’re having a classic wedding. 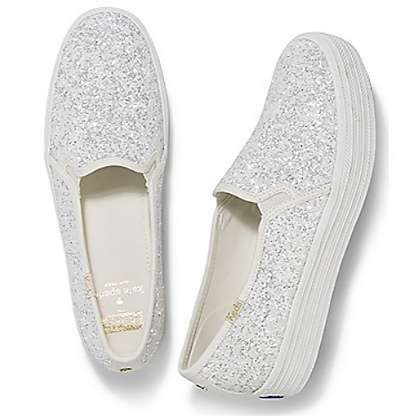 Or you can go all-out diva with an eye-catching glittered pair! 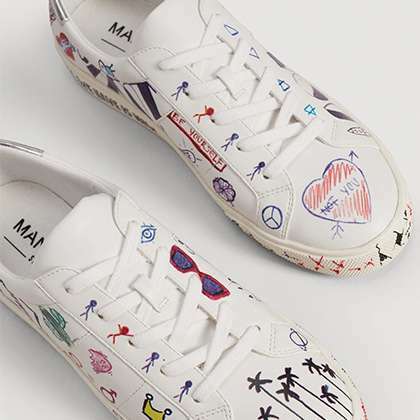 Pay homage to Angelina Jolie on your wedding day but instead of drawing on your dress, opt for sneakers with doodles instead! Not a fan of the bulky shape of sneaks? 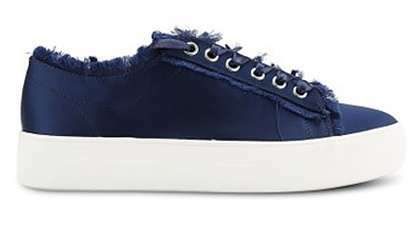 Choose a pair with a feminine cut like this espadrilles-esque sneakers. 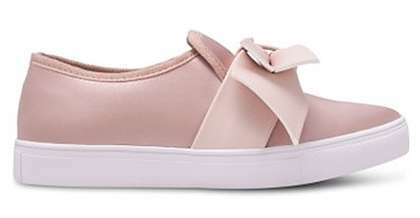 You can add a quick pop of color with a pink pair. Or it can be your something blue, too! 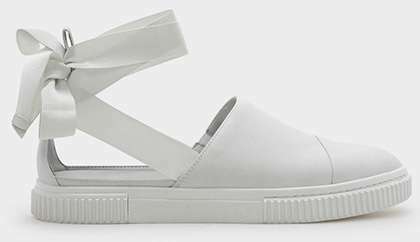 So, if you’re getting married real soon, make a statement and take the unconventional route with a pair of bridal sneaks. Trust us, your feet are gonna thank you big time!